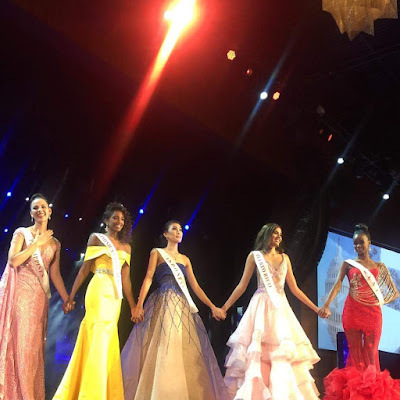 Miss World 2016 Live Final happening now at the National Harbor, Washington D.C., USA. Check out my live updates of the results based on the available Miss World 2016 live stream and together, let's find out who will be crowned Miss World 2016 winner. Wow, a total of 8 Asians in the Top 20, big chance for an Asian Miss World 2016 winner. Then from Top 20, they're trimmed down to Top 11 (including the People Choice winner, who earned an automatic slot). And then, down to just 5. The 5 ladies then took part in the Question and Answer (Q & A) Portion, where each had to answer a question. 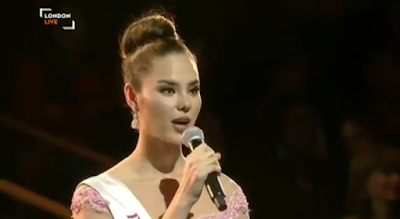 The question for Miss Philippines was: "Which qualities do you think it will take you to wear the Miss World 2016 crown? ", and she had a wonderful answer to that. She said it would take bravery for her to carry the burning torch of Miss World and illuminate the lives of many people. And the much-awaited part has come. The announcement of winner and her runners-up. 2nd Runner Up is Indonesia. 1st Runner Up is Dominican Republic. MISS WORLD 2016 is Miss Puerto Rico, Stephanie Del Valle.